Explore Impervio Engineered Waterproof flooring collection styles! 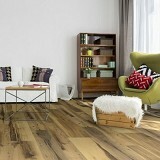 Buy Impervio Engineered Waterproof Luxury Vinyl Flooring Today and Save! Impervio Engineered Waterproof flooring collection has an extensive variety of naturally inspired Luxury Vinyl shades, natural wood grains, and textures to choose from! IMPERVIO is the newest technology in waterproof and pet-friendly floors that provide peace of mind when installed anywhere in your home. At Beaulieu, we know you love your pets. What you don’t like as much are the hairs, smells and little accidents that accompanies them. The good news is that Beaulieu floorings are made to withstand all your family’s activities, including your pets. The stain resistant wear layer makes IMPERVIO durable and easy to clean, making your floors look newer longer. We have what you need to enjoy life with your furry companion.